Fame Residences gives you the opportunity to experience the hottest spots around the metro while living a life of luxury and comfort. 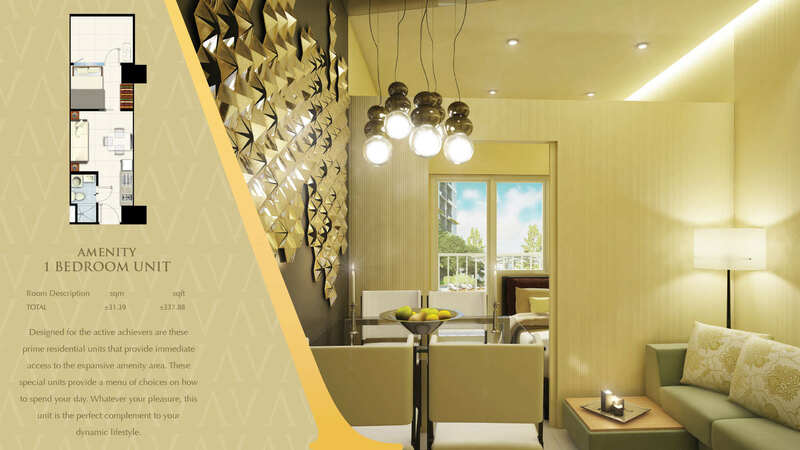 Fame Residences has a total lot area of 18, 907sqm with 4 towers and a common podium and 39 floors each. Phase 1 has a total number of 2, 420 units; Tower 1 and 2 have 1, 210 units each. Total number of parking slots is 776 wherein 606 slots are for residential use. Estimated Turnover date of Tower 1 is on 3rd quarter of 2019 and Tower 2 is 1st quarter of 2020. Fame Residences is located at EDSA and Mayflower Street, Brgy. Highway Hills, Mandaluyong City. This is just a few meters away from MRT Shaw Boulevard Station and Bus stop. For the city that never sleeps, it is also round the clock accessible when it comes to transportation. This is also a convenient place for those who have businesses and young professionals as Ortigas, BGC, Makati, and Mandaluyong District are just within the proximity. Several shopping malls like SM Megamall and Starmall are just your neighborhood so you can easily have your shopping needs right away. Churches and educational institutions like Lourdes School of Mandaluyong, St. Paul College Pasig are also around the vicinity. This is also near government offices like the Department of Education. There’s also a wide array of food establishments so there’s a lot to choose from. It is also a ride away from PhilSports Arena, Capitol Commons, Ynares Sports Arena and the Wack Wack Golf and Country Club. As Fame Residences brings out the elegant design of amenities and the convenience to all residents, we also want to make sure that we are providing 100%security to everyone. It has CCTV for lobbies, entrances and amenity area. To serve everyone, there are 4 elevators per tower. There’s also an automatic sprinkler system. For power outage, we provide 100% back-up power to commercial areas and for residential units, we provide back-up power for 1 light receptacle, 1 convenience outlet at living room and 1 outlet for refrigerator. There will be fire exits. For sufficient water supply, there are centralized cistern tank and sewer treatment plant. Also, units are cable and telephone ready.